This is one of 31 Protected Areas set aside by the Nova Scotia Government in the Wilderness Areas Preservation Act. This preserves a small portion of the natural landscapes that occur in the province. 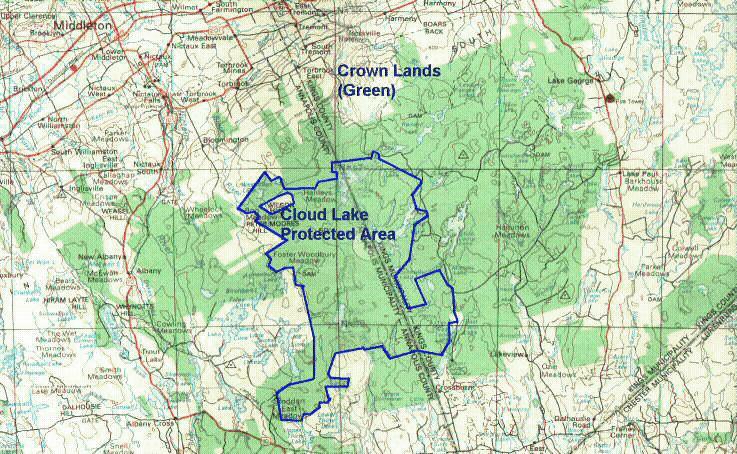 All of the areas are crown land. North: From Torbrook a gravel access road to the north side of Cloud Lake where there is launch access via short woods road to a beach. South:From the East Dalhousie to Crossburn and Upper Sixties Lake - A woods road westward leads into the area. West: From Nictaux Falls to Bloomington and on a woods road south that skirts the protected area north of Lunenburg Lake.